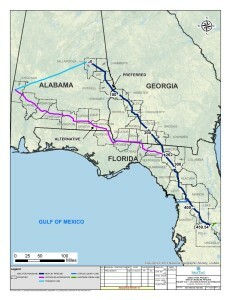 The Florida Panhandle alternative route appears to cross several Georgia rivers by hugging the Georgia-Florida line to avoid the Apalachicola National Forest and the Lake Talquin State Forest in Florida. This looks like the route published in Florida newspapers back in June. 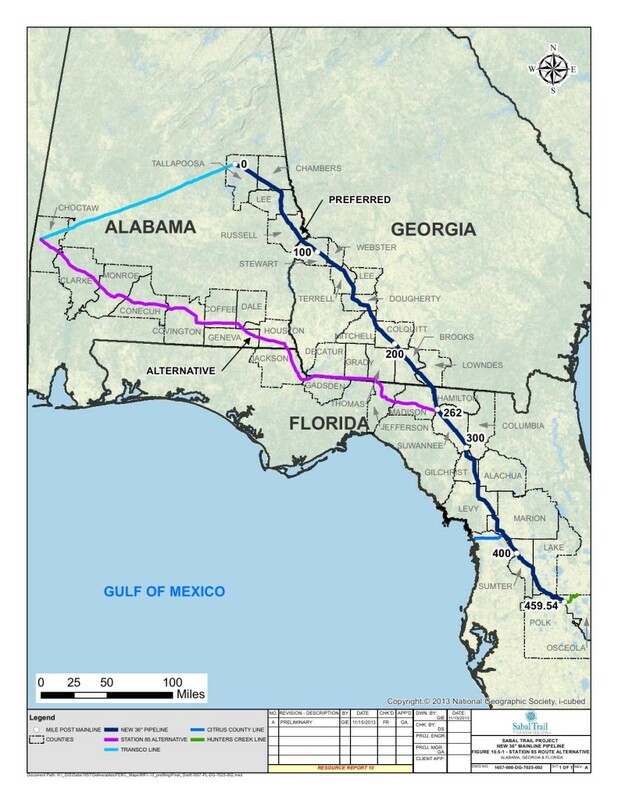 It adds Choctaw, Clarke, Monroe, Conecuh, Covington, Coffee, Dale, Geneva, and Houston Counties in Alabama, and Jackson, Gadsden and Jefferson Counties in Florida. Extracted from Sabal Trail’s one big PDF document, here is PDF and JPG of the Florida panhandle alternative route map.